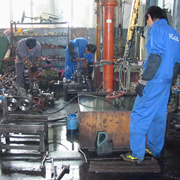 Supporting by our strong QC personnel, the quality of our products are always guaranteed. Our products are 100% inspected before being packed and dispatched. We also accept any Third Party of Inspection appointed by our customers, such as Lloyd′s Register, TUV, DNV, BV, SGS, IEI, SAI and etc. 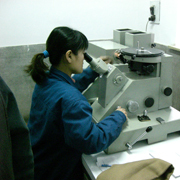 Xiamen Telice has a staff of 25 devoted strictly to quality control. 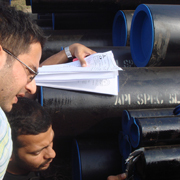 This is supplemented with a staff of 58 engineers and technical professionals, who are highly experienced in valve design and are another checkpoint in our extensive quality control system. These engineers specialize in product development, research and quality control, and are a vital component of our customer technical support team. Quality assurance is carried throughout the process from the raw material purchasing to processing, packing, storage and transportation. Every process strictly conforms to the ISO 9001:2000. "Quality First" is our promise forever to any of our customers.